We’d love your help. Let us know what’s wrong with this preview of Girl in Translation by Jean Kwok. When Kimberly Chang and her mother emigrate from Hong Kong to Brooklyn squalor, she quickly begins a secret double life: exceptional schoolgirl during the day, Chinatown sweatshop worker in the evenings. Disguising the more di Introducing a fresh, exciting Chinese-American voice, an inspiring debut about an immigrant girl forced to choose between two worlds and two futures. 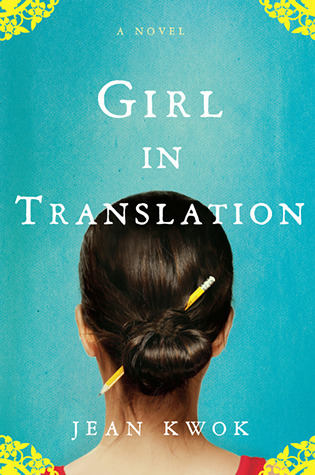 To ask other readers questions about Girl in Translation, please sign up. SheriC (PM) I bet if you read chapters 9-13 you would find out. Chelsea They never saw her again. There’s no update because they cut ties; they were feee of her. You probably don't want to listen to my rating, because I'm just a bit biased. However, I'd like to thank everyone who's posted here. Whether you love the book or hate it doesn't matter, I'm just glad you've taken the time to read it. I've never read a book that described more accurately what it is like to be an Asian American immigrant. It's like Ms. Kwok took pieces of my own experience (growing up in a cockroach-infested apartment with parents scraping by by working multiple menial jobs), and lines lifted from my friends' stories (calling an eraser a rubber, telling parents report cards came out only at the end of the year) and merged them with a thrilling and thoroughly absorbing story. The novel takes the Chinese immigrant I've never read a book that described more accurately what it is like to be an Asian American immigrant. The novel takes the Chinese immigrant experience and lifts it from stereotypes; it's true that Kim is naive and academically oriented, but the author probes so deeply into her psyche and creates situations with such seriousness and honesty that she frees us from such simple labels. In terms of language, I thought Ms. Kwok did a great job of transposing Cantonese conversations into English (partly by keeping idioms) and of making the English Kim hears sound more foreign to the readers, in a creative way. She infuses the narration with Chinese mentality, not unnaturally, and cinches descriptions of harsh realities with delicately observed prose which, far from seeming out of place, helps tint the situations in fresh hues. More than anything, the human connection in this novel is real (like Matt, the mother, and colorful characters along the way - Mr. Al, Mr. Jamali, the African American man who comes to fix their heater); the delight of these characters in the face of patheticness, misery, and weakness moved me. I found the ending extremely dissatisfying though - it really didn't add anything new to the story and possibly uprooted all the good things that the novel had built up to that point. But I guess my philosophy ultimately differs from Kim's, and good Asian American literature is so rare that I'm giving this book five stars anyway. 4.5. 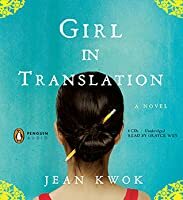 I read Girl in Translation by Jean Kwok at a time when I read little fiction. I found the book at one of my favorite places- the check out counter at the library- and grabbed it because of its vivid colored cover. In this debut novel, Kwok tells the story of Kimberly Chang and her mother, immigrants from Hong Kong to Brooklyn. Forced to live in a condemned apartment and work in horrid conditions because their sponsor, Kimberley's aunt, feels as though they are burden on society, Kimberly gr 4.5. I read Girl in Translation by Jean Kwok at a time when I read little fiction. I found the book at one of my favorite places- the check out counter at the library- and grabbed it because of its vivid colored cover. In this debut novel, Kwok tells the story of Kimberly Chang and her mother, immigrants from Hong Kong to Brooklyn. Forced to live in a condemned apartment and work in horrid conditions because their sponsor, Kimberley's aunt, feels as though they are burden on society, Kimberly grows up in poverty. Forced to forge her mother's signature and speak with every adult necessary to get by in society because her mother can not learn English, Kimberly is also forced to grow up fast. She has one saving grace that leads her to attend a private school: she is near genius level in math. Math being the universal language therefore English is not necessary to achieve high marks. Despite a teacher discovering Kimberly's talent and pulling strings to get into this prestigious school, Kimberly still has to work alongside her mother at a clothing factory in Chinatown after school because they have no money for childcare and because her work is needed to help meet daily piecemeal quotas. While at the factory, Kimberly meets Matt. He is from a poor family in Chinatown and has no ambition to ever leave; however, he is one of few other adolescents at the factory and they develop a close friendship that endures through their high school years. As Kimberly navigates her private school and all the typical milestones that come with it, her aunt grows more and more resentful of her and tries with all her power to prevent the Changs from achieving the American Dream just out of spite. I'm very hesitant to review this book, mostly because I'm not quite sure how to put to words what it is that reading this has made me feel. It is at once both very familiar, and yet completely foreign. The Cantonese, the way that the author translates the slang and the phrases, the cultural traditions, the deeply embedded lifestyle that is Chinese pride and saving face...when I read about that, it was like something sparked in my blood. This part, I understand, and I have lived. But then there's t I'm very hesitant to review this book, mostly because I'm not quite sure how to put to words what it is that reading this has made me feel. But then there's the fact that this story is told from the perspective of an immigrant to America, and I am very much an ABC, American-born-Chinese-- or, as Aunt Paula would say, a "bamboo shoot". So there's this whole other dimension of the story that is just as significant as the Cantonese that I simply can't comprehend. It's as if I'm a relative, but once-removed. This was such a delightful read that I put off all the other things I was supposed to be doing today and read it in one sitting:) It is Saturday after all and I think I deserved a treat! It is a wonderful tale of a Chinese mother and daughter who migrate to America and find it not to be the land of plenty they had dreamed of. I thought the author handled it perfectly in particular the way she presents the daughter's struggle with the English language. However smart she is, however hard she tries This was such a delightful read that I put off all the other things I was supposed to be doing today and read it in one sitting:) It is Saturday after all and I think I deserved a treat! It is a wonderful tale of a Chinese mother and daughter who migrate to America and find it not to be the land of plenty they had dreamed of. I thought the author handled it perfectly in particular the way she presents the daughter's struggle with the English language. However smart she is, however hard she tries there, will always be words and phrases she does not know and just one of these can make a whole sentence unintelligible. I so wanted her to succeed that I was practically cheering her on through every test and every challenge. The epilogue was sad because of the choices she had to make but also very rewarding in her eventual achievements. I've been in a really weird place with books lately. Over the past weeks I've read a lot of books and so far no one has been affective enough to motivate me to go raving. I'm on what you can refer to as the eternal hunt. But what can I say? I read Girl in Translation after reading Nina's little convincing review - which you can read here if you like(Thank you Nina!). Now while Girl in Translation didn't really ensorcell me, it did do something. The story of Kimberly - Ah Kim - Chang is a very hon I've been in a really weird place with books lately. Over the past weeks I've read a lot of books and so far no one has been affective enough to motivate me to go raving. I'm on what you can refer to as the eternal hunt. But what can I say? I read Girl in Translation after reading Nina's little convincing review - which you can read here if you like(Thank you Nina!). Now while Girl in Translation didn't really ensorcell me, it did do something. The story of Kimberly - Ah Kim - Chang is a very honest one, the story of a Chinese girl who immigrates to America with her mother in hopes of a better lucrative life. They carry along with them hopes and dreams and very honeyed expectations - which were soon crushed like mine were over the past few weeks with every last page of every book I turned. But moving on. For years, I calculated whether or not something was expensive by how many skirts it cost. In those days, the subway was 100 skirts just to get to the factory and back, a package of gum cost 7 skirts, a hot dog was 50 skirts, a new toy could range from 300 to 2,000 skirts. I even measured friendship in skirts. BUT why not? Education can also be a talent - that's what I learnt from this book. It was Kimberly's ticket to a better life, her one golden ticket out of the rat and roach infested decrepit apartment she was forced to live in, out of the oddities and privations that came with her foreignness. I found it effective how the author delivered some conversations and sentences from characters not as a fluent English speaker would hear them but as Kimberly heard them. With her very lacking and basic knowledge of English she understood words like "ghetto" as "get dough", "extend" as "ex-T" or "window sill" as "winnie seal". You may need to change your dreams. My little heart, listen. But sometimes our fate is different from the one we imagined for ourselves. You might not end up with who you want. And that love will become a passing but lingering thing. In those days, I wanted to believe our love was something tangible and permanent, like a good luck charm I could always wear around my neck. Now I know that it was more like the wisp of smoke trailing off a stick of incense: most of what I could hold on to was the memory of the burning, the aftermath of its scent. "Well the next time I see a foreigner who looks funny and has weird bags and can’t even speak English, that they might think, Oh this could be a person who in her own language and culture is a very articulate, wise, funny person, just like Kimberly Chang’s mother"
If you are an immigrant who came to United States - read this book. Now, this is just my personal preference and my personal view but I really hated the way a (view spoiler)[possibility of an abortion (hide spoiler)] was handled. First of all - her mother, who was portrayed as extremely religious and old fashioned throughout the whole book, her mother, who didn't want to buy her any new underwear because she thought it to be too western and americanized to care about underwear, had no problem whatsoever with her (view spoiler)[getting an abortion? (hide spoiler)] Ummm, I had the hardest time believing that. They were buddhist for crying out loud!! It just wasn't in character at all and felt like a plot twist that was trying to be shocking, but was just badly executed. Sure, many people are pro-choice, but it's the nonchalant way in which it was handled that angered me. It was treated as something that just needed to be rid of, as if the baby was just a disease or a case of sniffles that needed to be removed because somebody doesn't feel like they want to deal with it. There was no thought process, no emotional dilemmas, no talk about the aftermath of what abortion does to the body - nothing. It felt as an afterthought, just something to spice up the plot. Kim's mother wasn't a character I had any sympathy for. I know I should have, but she was just way too spineless for me. She never did anything to leave the horrible place, in a way she gave everything to the hands of her horrid sister and just went with it, meanwhile burdening her very young daughter with everything else. Sure, she worked hard, but something just working harder is not the best choice. If you are at a horrible place, no matter how hard you work - it will still be a horrible place. It was a very sad thing to see how she was not only stuck at a horrible place physically, but mentally she wasn't able to adapt or leave her views and prejudices behind. In the end it was Kim who got them out of there, and her mother just went with it. Despite many decisions of Kim's that I disliked, my heart ached for her when she wished to be just a kid, and not the caretaker of her family, because her mother, on some level, refused to adapt, to try and change anything at all. And where was Annette at the end of the novel? She was Kim's best friend and there was not a word about her in the end? Did she just disappeared from her life? Really irks me when people leave strings untied in their books. Because I don’t know how to rate this book. I loved most of it - like 95% of it, but I also found something to hate. It’s not really the book’s fault, but more of a personal thing - so that’s why no rating yet, I have to separate my personal feelings and the book first. Remember the popular song in the 90s, It's a Hard Knock Life? That song kept popping into my head as I read this novel. For Kimberly, a Chinese immigrant residing in the slums of Brooklyn, it's a hard knock life indeed. Her mother and her come from Hong Kong when Kimberly is approximately eleven years of age and fully dependent on Aunt Paula, a jealous relative, they find themselves living intimately with roaches and rats in a garbage-bag-in-place-of-windows, illegal apartment with no heat or ai Remember the popular song in the 90s, It's a Hard Knock Life? That song kept popping into my head as I read this novel. For Kimberly, a Chinese immigrant residing in the slums of Brooklyn, it's a hard knock life indeed. Her mother and her come from Hong Kong when Kimberly is approximately eleven years of age and fully dependent on Aunt Paula, a jealous relative, they find themselves living intimately with roaches and rats in a garbage-bag-in-place-of-windows, illegal apartment with no heat or air. While struggling to learn English in public school, Kimberly also helps her mom work in Aunt Paula's sweatshop. Kimberly soon realizes that the only way to turn her sob story into a success story is thru education. This novel is all about her school years from the age of eleven to the time of graduation when a very adult Kimberly tries to get her mother and herself out of the roach infested apartment and far away from Aunt Paula's control and wrath. It's a journey full of hard knocks, but this gal doesn't let life knock her down. Reading about Kimberly growing up, finding herself, and growing a backbone was like watching a flower evolve from a bud to a fully opened delight. I liked this debut overall. I came off it feeling a message that family is there to help with the big life changing events, but when it comes to day to day survival, ya gotta have friends, as Bette Midler would say. An insightful debut about immigration, hardship, and striving for education and success against all odds, enveloped by a tentative love story. Threre's a Chinese saying that the fates are winds that blow through our lives from every angle, urging us along the paths of time. Those who are strong-willed may fight thestorm and possibly choose their own road, while the weak must go where they are blown. I say I have not been so much pushed by winds as pulled forward by the force of my decisions. Gir An insightful debut about immigration, hardship, and striving for education and success against all odds, enveloped by a tentative love story. Girl in Translation follows the storyline of Kimberly Chang, a Chinese girl who migrates to the United States with her mother. The narration beautifully illustrates the struggles of being pushed into a foreign world, where people look different, have other traditions, other norms, and speak an entirely different language. Based on her own childhood experiences as a migrant from Hong Kong, Jean Kwok tells the story of young and exceptionally intelligent Kimberly Chang who finds herself doing the splits between a life in Chinatown, wasting away as a sweatshop worker and living in a run-down apartment, and striving for a successful career at a fancy private school. Kimberly translates herself back and forth between a world where she can barely afford clothes and a world where, in spite of her intelligence, she's supposed to look the part as she reaches for higher education. It is a tale of survival and beating the odds, but ultimately, it is also a fragile love story in an unforgiving environment. The narration is raw, honest, and authentic, with the Chinese culture being cleverly woven into the storyline. It provides insight into a world hidden behind the facade of Chinatown, a place where we might order a Sezuan chicken to go and never imagine what may lie beneath the surface. Girl in Translation provides a powerful message of hope, narrated by a strong and inquisitive character whose mind and soul sometimes seems divided in two. "You have the big stomach." She knew I was pregnant. I should probably bring this book down to a 3 for how terrible the end is. And clearly the characterizations of everyone except our narrator are fairly unsubtle. But I was completely engrossed in the details of this story of growing up dreadfully poor in Brooklyn a generation ago, a Tree Grows in Brooklyn for the late 20th Century. Kwok's tale really grabs you, and if you have a hard time crediting some of the details, the deeper unease is with the undeniable fact that the world she portrays - p I should probably bring this book down to a 3 for how terrible the end is. And clearly the characterizations of everyone except our narrator are fairly unsubtle. But I was completely engrossed in the details of this story of growing up dreadfully poor in Brooklyn a generation ago, a Tree Grows in Brooklyn for the late 20th Century. Kwok's tale really grabs you, and if you have a hard time crediting some of the details, the deeper unease is with the undeniable fact that the world she portrays - piecework for far less than minimum wage, children laboring in factories, squatting in unheated condemned buildings - is not a sepia-toned memory of my great-grandparents' (or A Tree Grows in BK's) New York, but a contemporary reality. When Kimberly Chang and her mother emigrate from Hong Kong to America, they are forced to reside in a cheap Brooklyn apartment with no heating and a copious amount of mice and roaches. To survive their horrible living conditions and financial struggles Kimberly works with her mother at a sweatshop in the afternoon while attending school in the daytime. Despite her initial inability to speak English, Kimberly works her way up to the top of the class in order to secure a better life. But when she When Kimberly Chang and her mother emigrate from Hong Kong to America, they are forced to reside in a cheap Brooklyn apartment with no heating and a copious amount of mice and roaches. To survive their horrible living conditions and financial struggles Kimberly works with her mother at a sweatshop in the afternoon while attending school in the daytime. Despite her initial inability to speak English, Kimberly works her way up to the top of the class in order to secure a better life. But when she meets Matt, a compassionate boy who also works at the sweatshop, she'll choose between everything she's worked so ambitiously to achieve and her first love. I'm not a stranger when it comes to immigrant experiences - my mother and father were both immigrants, and the stories they share with me motivate me to work harder. But seriously, cockroaches? I remember one dreadful description of when Kimberly could feel the mice racing across her body as she slept... gross. Yet, even though she's not allowed to have friends over and spends all of her time studying and working, Kimberly doesn't whine and give up. She does everything in her power to succeed, and she does. That's one reason why I fell in love with her voice. That's not to say she's an over-achieving robot. Kimberly, as well as the other characters in this book, are relatable - Kimberly herself succumbs to peer pressure and other adolescent issues. I was rooting for her and felt personal satisfaction whenever she aced a test or rose above her cultural confusion. My only complaint is that some of the romance that didn't involve Matt seemed unnecessary to the plot. I understand that it was included to show how Kimberly is just like any other girl, but I doubt she would've had time to hang out with guys after school when her mother needed her at the sweat shop. Overall, a 4.5. Jean Kwok has crafted a fantastic debut novel that portrays the struggle of a Chinese girl growing up in the US. This was a super sweet story about a subject I can't get enough of: a mother and daughter starting their life in America after immigrating from China. It is told from the daughter's perspective, Kim, and covers the sacrifices her mother made to bring her to New York, the abysmal (and illegal) living situations they endured, and their ultimate triumph. This is a quick read, but I took my time listening to the audiobook performance during my lunch break walks. I particularly enjoyed the voice of " This was a super sweet story about a subject I can't get enough of: a mother and daughter starting their life in America after immigrating from China. It is told from the daughter's perspective, Kim, and covers the sacrifices her mother made to bring her to New York, the abysmal (and illegal) living situations they endured, and their ultimate triumph. This is a quick read, but I took my time listening to the audiobook performance during my lunch break walks. I particularly enjoyed the voice of "young Kim," with her Chinese accent, mixed up American words, and her polite and formal phrases and greetings. The bond Kim has with her mother, even at a young age, really resonated with me: how responsible she was forced to become, and how brave. The novel spans Kim's life from grade school to her adult years, and the first half was particularly touching. The second half has a bit of a love story in it, and while it was necessary to forward the plot, (and to spur a major decision from Kim), I truly feel the real love story was between Kim and her mother. Their first New York "apartment" is a cockroach-infested, run-down slum with no heat. It is too cold to do anything in the winter, and they can't afford any clothes or blankets. One day on their way to work (sewing skirts at a Chinese factory/sweatshop), they spot a truck unloading tons of colorful stuffed animal fabric by a dumpster. They cannot stop and risk being late for work, and the whole time at work, Kim's mother worries that someone will take the rolls of fabric. When they leave the factory late that night and rush back to the dumpster and discover it is still there, it is the jackpot of all jackpots: Carpet, pillows, bedding, tablecloths, underwear, sweaters are all fashioned from the lime green fabric. I really liked this book, a lot. Hence how I was able to finish it in a single sitting. It was very interesting. The story revolves around an Chinese mother/daughter duo's immigration from Hong Kong to New York. The book focuses on the experiences of culture clash, isolation and all the other difficulties they go through to adapt to the strange new world they find themselves in. Perhaps I resonated with this so strongly because both of my parent's were immigrants, it was because of their experiences in life that I was constantly pushed to work harder then everyone around me. Kimberly Chang (the protagonist) is everything I wish I was and hope to secretly be: independent, mysterious, and insanely driven. There was a lot of bits that had me laugh out loud, one particular part where a boy in school wouldn't stop bullying Kimberly because of her clothes. The rest of his friends would chime in and bully her as well and this bothered her so she came up with a brilliant idea to play him at his own game. She decided to approach him and apologize whilst looking innocently adorable, he confusedly says "For what?" and she goes "I just not like you in the way you like me" then kisses him on the cheek in front of all of his friends, mind you these are immature 12 year olds. Poor Greg was teased for weeks and he avoided Kimberly like the plague after that. HA! Overrall, this is a book I would recommend to everyone. Short, amazingly insightful and relatable. Girl in Translation is the story of Kimberly Chang, an eleven-year old girl who arrives in Brooklyn from Hong Kong with her widowed mother. Their immigration has been arranged and paid for by Aunt Paula, her mother’s older sister. They are hopeful -- and why not? America is the country where dreams come true. Every novel needs a villain and here it’s Aunt Paula who takes on the role. Having paid for bringing her sister and niece to America, she now feels they owe her total obedience for the rest Girl in Translation is the story of Kimberly Chang, an eleven-year old girl who arrives in Brooklyn from Hong Kong with her widowed mother. Their immigration has been arranged and paid for by Aunt Paula, her mother’s older sister. They are hopeful -- and why not? America is the country where dreams come true. Every novel needs a villain and here it’s Aunt Paula who takes on the role. Having paid for bringing her sister and niece to America, she now feels they owe her total obedience for the rest of their lives. Aunt Paula doesn’t say this in so many words, but Kimberly’s Ma understands the reality of their situation and makes Kimberly understand that except for Aunt Paula’s help they are completely without resources. But even Ma can’t guess how little her own sister is willing to do for them. Aunt Paula gives them housing, but it’s an illegal apartment in a derelict neighborhood of tenements. The apartment has no heat and is infested with vermin. When winter comes, ice forms inside the windows. As for work, first Aunt Paula protests that Ma is too frail to babysit her two sons; then she puts Ma to work in the clothing sweatshop that she manages. Like all the sweatshop workers’ children, Kimberly comes to the factory after school to help Ma with the piecework so that they can make their quota. Each month, Uncle Bob scrupulously deducts part of Ma’s earnings for rent and their immigration repayment costs. Mother and daughter live on what’s left, barely enough to cover food. Unused to American ways and unable to achieve the stellar grades she earned in Hong Kong, Kimberly plays hooky to escape from her difficulties at school. Then one day she realizes how little her mother earns, that Ma will never have the time or energy after a grueling day’s work to learn English and get a better job, and that if they depend on Aunt Paula, Kimberly will end up working at the sweatshop when she finishes school. From then on, it’s all about grades; not only because of her deeply-engrained belief that education is the ticket to a better life, but because Kimberly has no other avenue. It’s up to her to get them out of the factory. When Kimberly earns a full scholarship to an exclusive prep school, Aunt Paula’s surprising reaction is one of anger, quickly smoothed over; from this, Kimberly and Ma realize they are not allowed to outshine Aunt Paula’s family. From then on, they lie about Kimberly’s grades, hiding the fact that she is smarter than her cousin Nelson so that Aunt Paula can save face. In the scenes with Aunt Paula, we see tyranny and strong emotions concealed behind the elaborate courtesies of Chinese etiquette, occasional cracks in the veneer revealing just enough to communicate the true meaning of practiced, polite assurances. I really liked the way Kwok drops in literal translations of Chinese expressions into Kimberly and her Ma’s speech; for example, to be of “small heart” means to be very careful. I also liked the way she constructs English idioms and phrases as they sound to a bewildered Kimberly, so that we understand why they don’t make sense. Kwok manages to put the reader so firmly in Kimberly’s mind that we also journey through the story straddling both cultures. Kimberly may be naïve, but so are her well-meaning American friends. A classmate argues with Kimberly, saying that she can’t be working in a factory because her father says it’s against the law to put children to work. There have been many books about the Chinese immigrant experience and Girl in Translation is only the second such book that has made me feel as though I had fallen right into the narrator’s life – or that the author had been spying on mine. The other was Amy Tan’s The Joy Luck Club. The writing captured me from the start. You feel as though you’re reading a diary, an account of true events and not a work of fiction. There is immediacy to Kimberly’s unvarnished observations. The novel takes you behind the stereotypes of Asian immigrants. Education is a priority not just because it’s the route to a better life; sometimes a report card is the only benchmark parents can hold up as validation of their choice to leave behind the safe and the familiar. This is an immigrant experience that explores the conflicting dynamics of family, poking holes at the notion of a cohesive community that takes care of its own. It exposes the world of sweatshops and the exploitation of new arrivals by those who are more established. Jean Kwok opens to us the heart and mind of a young girl doggedly steering her way out of that world, and it’s an unforgettable ride. This is a novel drawn from personal experience and there is an authenticity to Girl in Translation you rarely encounter. So I can tell you in one word what I learned about writing from this book: courage. But how many of us are willing to cut so close to the bone and expose ourselves in this way? Not only to relive a terrible time but also to examine those memories closely, discover their meaning, and render them into words that can move others? In no way was my journey to Canadian citizenship as fraught as Kimberly’s. I managed to avoid the worst experiences of being a stranger in a strange land because I already spoke English (my father worked overseas all through my childhood). We were not wealthy and my parents cultivated a habit of thrift, but there was never any doubt that they would send us to university. But Kimberly’s story so easily could have been mine. There, but for the grace of English and financial security, could have been my family. There were countless scenes in the book I found extremely difficult to read. It was like reliving the first difficult years of adjusting to life in Canada, but worse: that feeling of being apart, helplessly different and unwanted, amplified by culture shock, language barriers, racism and poverty. As I read, Girl in Translation peeled away the protective layers I had acquired over the years. I felt the truth of those experiences and cringed. I could hardly bear to read some of the passages, and can’t imagine what kind of bloodletting it took for Kwok to actually write those scenes. Authenticity doesn't depend upon writing about your own life experiences. It takes truth, which is sometimes pitiless and relentless. And it takes courage to delve into truth, no matter what the topic. Even for this book review, I can't summon up the courage to write about the emotions it dredged up to the surface. One day I will sit at the typewriter and bleed, truly bleed. Until then, this book will stay on my bookshelf as a reminder of what you can achieve when you allow your authentic voice to speak. I’m not sure why this book has garnered such buzz and great reviews. The writing is straightforward and easy to read, but far from being literature. This book seems to belie the fact the author has an MFA in fiction, or perhaps this is all it takes to get an MFA in fiction from Columbia these days-I don’t know. Perhaps the book should have been categorized as YA since it seems to have been written for an eighth grade reading level. I was especially annoyed by the use of italics to start each new I’m not sure why this book has garnered such buzz and great reviews. The writing is straightforward and easy to read, but far from being literature. This book seems to belie the fact the author has an MFA in fiction, or perhaps this is all it takes to get an MFA in fiction from Columbia these days-I don’t know. Perhaps the book should have been categorized as YA since it seems to have been written for an eighth grade reading level. I was especially annoyed by the use of italics to start each new thought within a chapter. Someone needs to teach this author and/or the editor how to use italics. This is a coming of age story about an 11-year old Chinese girl who comes from Hong Kong with her mother to live in NY in an abandoned tenement with no heat, and work in a clothing factory sweatshop. Kimberly, the young girl, is exceptionally bright so is able to get into a private school on a scholarship and is able to fulfill the American dream of working hard and becoming a success. There is no depth to her story or characters. The story is told in a linear “just the facts” manner: “And then this happened, And then this happened, And then this happened, And then 12 years Later…” And she does not make the reader see or feel any real weariness or despair despite the weariness and despair that Kimberly must feel going to school all day and then going straight to the factory to work, sometimes until 2a in the morning, and then coming home to an apartment with no heat in the dead of winter. There are no descriptions of bags under her eyes, or even of her falling asleep at her desk or on the subway. The fact that her mother doesn’t pass her naturalization test which in turn means Kimberly will not automatically become a naturalized citizen is only briefly mentioned. There is nothing said about how great their disappointment must be. On a positive note, Kwok does use her own experience working in a clothing factory to add authenticity to these parts of the story showing that the sweatshop conditions have not changed much from the days of the Triangle Shirtwaist Factory; only the immigrants are just a different ethnic group now. But this and the great cover of the book are not enough to save this book from being anything but mediocre and forgettable. I liked this book. I didn't love it, but I did enjoy it. Should you read it? Yes, if you get it free or for a couple dollars. While looking at the upcoming release from Jean Kwok, I went back to my review and decided to update it. I have increased the rating from 4 to 5 stars as this is one of a few novels that has stayed with me a couple of years after reading. I actually obtained this book for my wife as it was on a "top twenty books a woman should read" list. Having found it on such a list, I assumed that it would be some form of "chick-lit". Needing something to read and finding the synopsis to be interesting, I rea While looking at the upcoming release from Jean Kwok, I went back to my review and decided to update it. I have increased the rating from 4 to 5 stars as this is one of a few novels that has stayed with me a couple of years after reading. I actually obtained this book for my wife as it was on a "top twenty books a woman should read" list. Having found it on such a list, I assumed that it would be some form of "chick-lit". Needing something to read and finding the synopsis to be interesting, I read it before my wife got her hands on it. I am glad that I did. While I am no expert on what women should read, I am confident this is a book that all genders should read. I found this story, which is based (how loosely I am not sure) on the real life experiences of the author to be uplifting and engaging. Personally, I have a soft spot for well written coming of age stories. Here we have a girl being introduced to a new culture while living in impoverished conditions. Despite excelling academically in her home country, she has to essentially start over in a place and a new language. Most readers can identify with a character in a position where they do not fit in. This is a universal theme and one that resounded with me. Without revealing the content of the book, the story focuses on the life of a bright young girl who moves from Hong Kong to the USA with her mother. In an attempt to build a new life they work in their aunts garment factory. The story follows this young girls transition into a new culture as she attempts to maintain her two worlds, her school and friends and the garment factory. It has been too long for me to recall the content and provide my regular analysis. I do recall some minor and youthful sexual content and some minor adult language. I was very impressed with this book. It teaches important life lessons, such as the amount of money you have or earn doesn't define who you are as a person. This is shown throughout the book as Kim and her mom make nearly pennies a day but continue to be very positive people and it doesn't stop Kim from her school studies. It was a very easy story to follow and readers never knew what was going to happen next. There are few reviews about this book on goodreads, but all of them are positive and t I was very impressed with this book. It teaches important life lessons, such as the amount of money you have or earn doesn't define who you are as a person. This is shown throughout the book as Kim and her mom make nearly pennies a day but continue to be very positive people and it doesn't stop Kim from her school studies. It was a very easy story to follow and readers never knew what was going to happen next. There are few reviews about this book on goodreads, but all of them are positive and the readers enjoyed the book. I would recommend this book for mostly teenagers. The ending of the book was very surprising and shocking. This review has been hidden because it contains spoilers. To view it, click here. I had a hard time giving this book a rating. I keep going between and 2 and 3. I loved the first 85% of it and then hated the rest. I found the trials and perseverance of Kimberly and her mother very profound and it makes you grateful for the blessings you have. *SPOILER: I can't get over the dishonesty and immorality involved in the ending of the book. To have someone's child and not even tell them about it is disgusting and disgraceful. It ruined the character and the entire book for me. That I had a hard time giving this book a rating. I keep going between and 2 and 3. I loved the first 85% of it and then hated the rest. I found the trials and perseverance of Kimberly and her mother very profound and it makes you grateful for the blessings you have. Kimberly's (main character) aunt had an agreed meant with her mother, that if she helped her into the new country, Kimberly's mother will help her aunt with factory work. The "Girl in Translation" reminds me bit like Salva after moving to America, just like Salva, Kimberly moved to America. But it wasn't just the country that had similarities, it was the cultures. Both Kimberly and Salva experiences a time of disagree meant in there own country. Kimberly was experiencing a time of hunger and pove Kimberly's (main character) aunt had an agreed meant with her mother, that if she helped her into the new country, Kimberly's mother will help her aunt with factory work. The "Girl in Translation" reminds me bit like Salva after moving to America, just like Salva, Kimberly moved to America. But it wasn't just the country that had similarities, it was the cultures. Both Kimberly and Salva experiences a time of disagree meant in there own country. Kimberly was experiencing a time of hunger and poverty. She never got any good clothes or a chance at an good education (like Salva). She moved to America to start a better life, but the language was hard for her. Over time of the book I could tell that she was improving. Salva must have felt that way too, he didn't know a single word either. Jean Kwok has managed to create an interesting and eye-opening read out of an experience that so many American immigrants have experienced within their lives. Kimberly and her mother's story is honest, shameless, and wholesome. As a child of immigrant parents, I found myself being able to relate to Kimberly on multiple levels despite being born in America. There's so much truth to Kimberly's story, and I loved reading her experiences and thoughts from her point of view. She didn't hold anything back in terms of her feelings, confusions, and concerns, and I loved that her voice seemed so fresh despite the fact that a lot of her concerns were so relatable. There were parts in this story that made me laugh out loud, that made my heart clench, that made me appreciate my immigrant parents, and everything that they had to go through to get me to where I am today, so much more. This is a wonderfully heart-warming and eye-opening story that I think everyone should read. My only complaint is that some of the plot dragged on a bit in the middle, and I felt like some of the romance was a little unnecessary. I loved that there was so much focus on Kimberly's mother and all of the work she had to do, and I wish there had been more of a satisfying ending. I don't know what I was expecting in the end and I liked it enough, but I was just expecting a little something more. What I loved most about this novel were the varying human connections and relationship that it explored so thoroughly. There was Kimberly and her mother, Kimberly and Matt, Kimberly and Aunt Paula, Aunt Paula and Kimberly's mother, Kimberly and Annette, etc. All of the relationships felt so real and I loved that there was something in each of them that everyone benefitted from. I also loved all of the secondary characters that came along the way and left their marks in Kimberly's life. I thought that was such an important and powerful aspect of the story - the fact that no matter who comes along in your life, whether you intend for them to be there or not, can impact you in one way or another. All in all, this was a very human and a very insightful read! There were so many noteworthy quotes that I found empowering and important. This is a wonderful piece of American literature that deserves so much more recognition and attention than it has. Please give it a read if you ever have the chance to, you won't regret it! I bought this because I enjoy immigrant fiction: it often gives interesting insights into American or British life, and I'm an immigrant myself. And for about two-thirds of this book, I was not disappointed. But then … Ah Kim (Kimberly) turns into a teenager. She's been granted a full scholarship at an exclusive New York secondary school despite living in an appalling slum with her widowed mother who works all the hours God sends in a garment sweatshop in Chinatown run by her elder sister and br I bought this because I enjoy immigrant fiction: it often gives interesting insights into American or British life, and I'm an immigrant myself. And for about two-thirds of this book, I was not disappointed. But then … Ah Kim (Kimberly) turns into a teenager. She's been granted a full scholarship at an exclusive New York secondary school despite living in an appalling slum with her widowed mother who works all the hours God sends in a garment sweatshop in Chinatown run by her elder sister and brother-in-law, who carefully extract payment for the medicines the mother needed to overcome TB in Hong Kong before emigrating, for the airline tickets to the US, and for rent of the so-called 'apartment' in a fully-decayed area of Brooklyn. Kimberly can't even afford underwear: it would cost too much. But she's very bright and willing to work hard. Then she suddenly seems to have the time, despite helping her mother meet quotas at the sweat shop, to become a more 'typical' American teenager. What next? Well, a full scholarship to Yale. OK, I'll grant that those who are very bright and work very very hard might just get so lucky. But by the end of the novel any critical look at an America that tolerates such poverty, provides so little protection to its people, and clearly doesn't care has gone by the board. Kimberly makes it as a pediatric cardiac surgeon, buys a house for her and her mother (and son now) in Westchester and rides around on a Ducati. She's achieved the American dream, and any reflection on her part about the fate of the boyfriend Matt she left behind at the sweat shop (he's made it up the social ladder to UPS driver) or the others in Chinatown sweatshops is completely missing, as is any critical look at her aunt and uncle, who exploit their countrymen ruthlessly (but perhaps may have reasons? let's hear them!). It's an "I'm all right, Jack" novel without the social (or psychological) criticism. All that opportunity to look at so many possible social and psychological factors, passed up by this author in favor of a cheap women's magazine ending! What a shame! Mixed thoughts about this one🙄.A migrant story about a mother and daughter who come to America from HongKong and the story of how she becomes a successful doctor and at what cost.It started on a promising note and then meandered off course.It also took me a long time to complete it.I did not like the fact that the protagonist was self apologetic and and chose to justify her actions and decisions.Well,We all fail,we all fall but the idea is to rise up with a smile 😏. Weird and disappointing to have the exact same reaction to two consecutive novels (both on Amazon's list of best books of 2010, incidentally) -- the story had potential, but was told way too superficially. Only this book was actually less enjoyable for me than Secret Daughter, the last book I read. I felt like I'd read this story many times before. Eleven-year-old Kimberly emigrates from Hong Kong to the U.S. with her impoverished widowed mother in seek of a better life; the two struggle with adv Weird and disappointing to have the exact same reaction to two consecutive novels (both on Amazon's list of best books of 2010, incidentally) -- the story had potential, but was told way too superficially. Only this book was actually less enjoyable for me than Secret Daughter, the last book I read. I felt like I'd read this story many times before. Eleven-year-old Kimberly emigrates from Hong Kong to the U.S. with her impoverished widowed mother in seek of a better life; the two struggle with adversity in the form of unsympathetic teachers and classmates, exploitative relatives, extreme poverty, etc., etc. There was nothing new here -- not the literary voice, not the story, not the characters. Nothing. Worse, many things didn't ring true to me although I hesitate to say this, having learned that the author herself emigrated from Hong Kong as a girl. Could the teacher really be that insensitive to the plight of a non-English speaking student? Were the Americanized relatives so avaricious and uncaring? And if so, how could Kimberly's mother be so utterly clueless about her older sister? Speaking of cluelessness, the author seemed to enjoy creating incidents where Kimberly's language foibles and general naivete led to misunderstandings which were supposed to be funny, I guess, but got old, especially since I would have expected Kimberly to catch on to a thing or two by Christmas. Especially if she was so very bright. Jean Kwok is the New York Times and international bestselling, award-winning author of Searching for Sylvie Lee (coming June 4, 2019), Girl in Translation and Mambo in Chinatown. Her work has been published in eighteen countries and taught in universities, colleges, and high schools across the world. 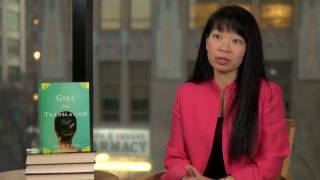 She has been selected for numerous honors, including the American Library Association Alex Award, Jean Kwok is the New York Times and international bestselling, award-winning author of Searching for Sylvie Lee (coming June 4, 2019), Girl in Translation and Mambo in Chinatown. Her work has been published in eighteen countries and taught in universities, colleges, and high schools across the world. She has been selected for numerous honors, including the American Library Association Alex Award, the Chinese American Librarians Association Best Book Award, and the Sunday Times EFG Short Story Award international shortlist. She is trilingual, fluent in Dutch, Chinese, and English, and studied Latin for seven years. Jean immigrated from Hong Kong to Brooklyn when she was five and worked in a Chinatown clothing factory for much of her childhood. She received her bachelor's degree from Harvard and completed an MFA in fiction at Columbia University. She currently lives in the Netherlands with her husband, two boys and three cats.